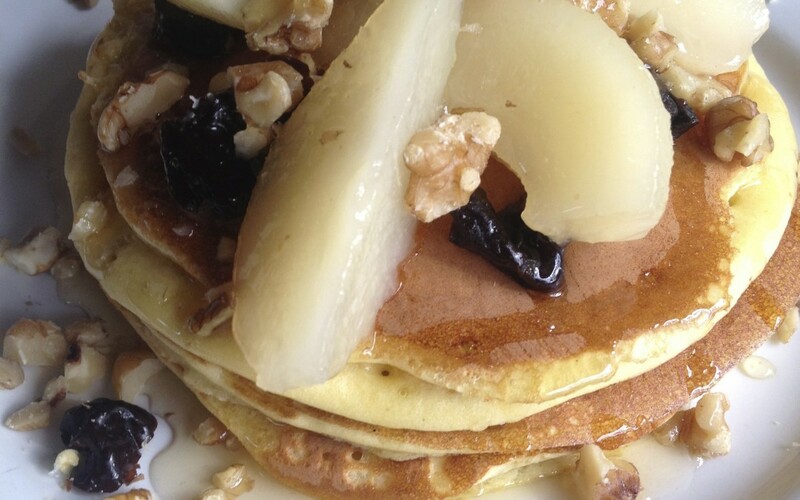 To kick off the recipes I thought I would start with an all time favourite of ours … Gluten free Pancakes. Over the years these have varied greatly. It is almost a family joke as to what the pancakes will be made from this time. They have been gluten free, grain free, SCD, paleo but the favourite has been the original pancake that I used to serve for lazy Sunday breakfasts before kids, when you could eat in peace and read the paper (love my kids but Breakfast is a little more demanding now). Making pancakes with kids is a lesson in patience … for them. They have to wait until I am finished cooking enough for both of them before I serve or otherwise the arguments are special! something sweet, nuts for protein and fresh fruit for something live!